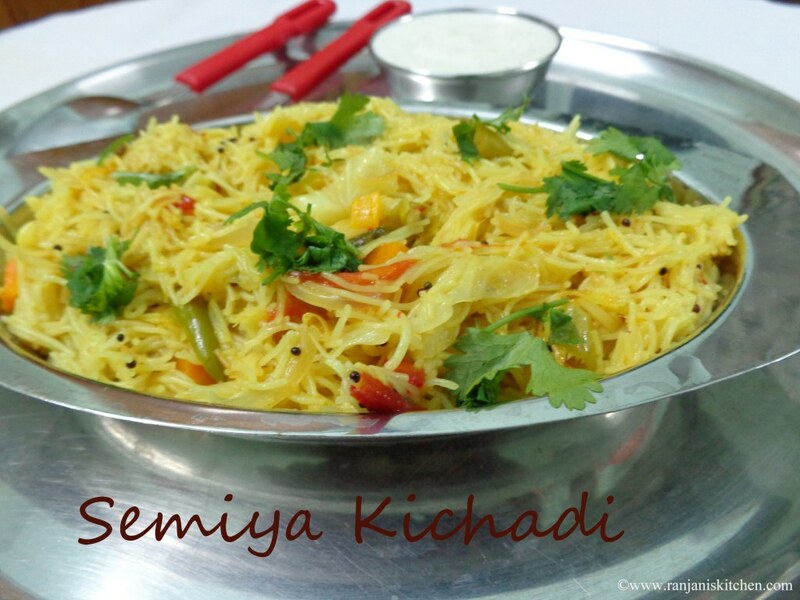 Semiya Kichadi is a simple vegetarian recipe which is easy to prepare and healthy as well.Coconut chutney is a best compliment for this dish. It is a filling breakfast.I love to have little sticky with coconut chutney. Will post another version of semiya kichadi soon. Now off to recipe. 1. Heat ghee in a pan, roast semiya in medium flame and keep aside. 2. Then chop the veggies,onion and tomatoes. Set everything in a plate. 3. Then pre-cook the veggies in water and little salt, drain and set ready. 4. Now heat a pan, add oil, then temper with mustard, and fennel seeds one by one. 5. 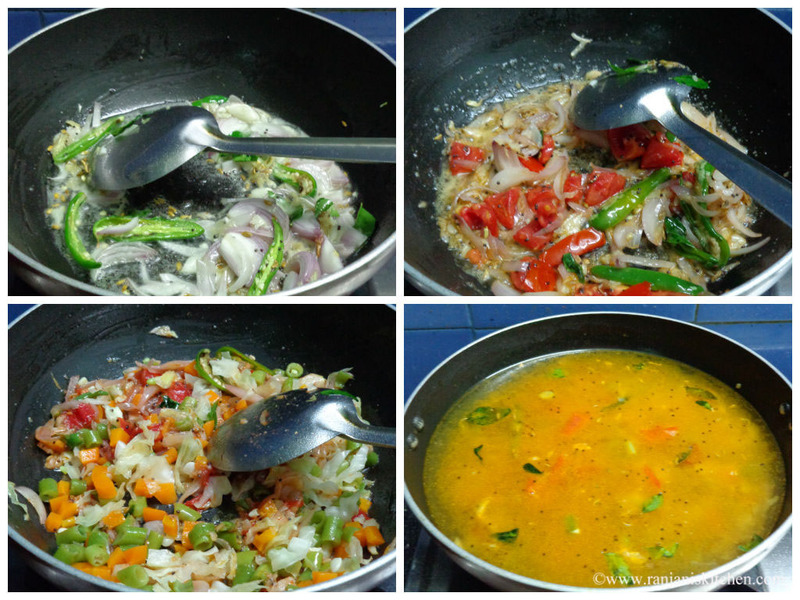 Then season with onions and green chillies.Once the onion turns transparent, add tomatoes,then sprinkle salt over it to fast cook the tomatoes. 6. Once the tomatoes cooked, add the pre-cooked veggies and turmeric. 7. Then add salt and 2 to 2 ½ cups of water. Once it start boiling,add roasted semiya. 8. Let it simmer, and close with lid. Keep it for 4 to 5 mins.Then Switch Off. 9. 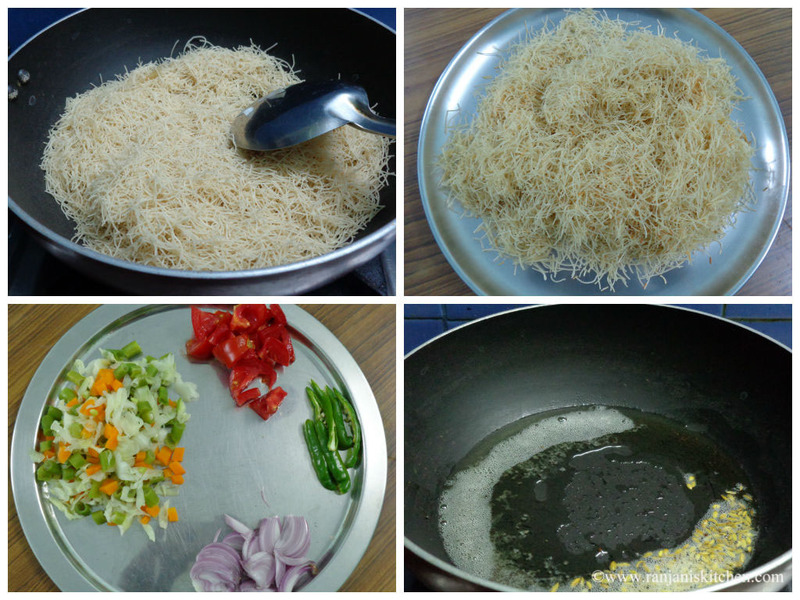 Garnish with coriander leaves and serve hot with coconut chutney. If you use double roasted semiya, no need to roast it again. While tempering, you can add oil and ghee in equal proportion. You can reduce the water level if you don’t want it to be sticky. Also adding veggies is optional. You can add peas and potato as well. 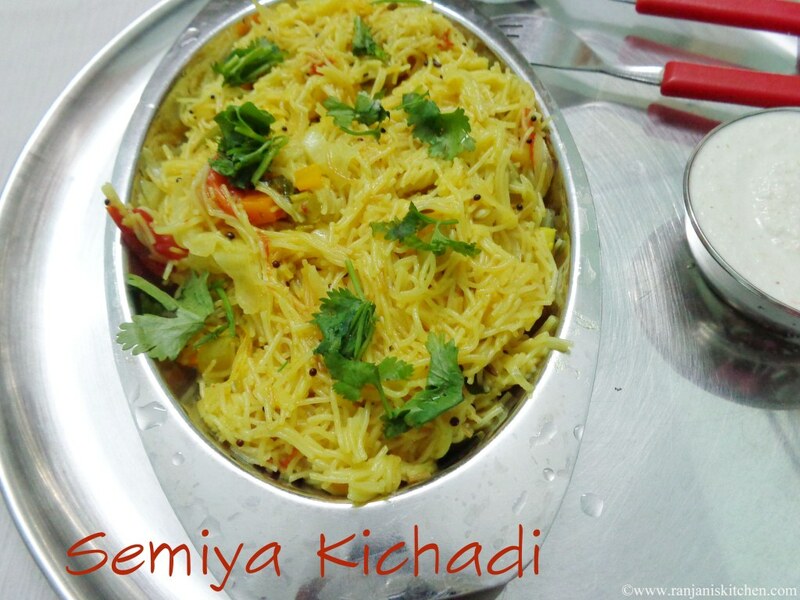 kichadi looks yumm.. Nice clicks. Easy and quick breakfast recipe…I wanna have some now :)Looks too good dear ! !